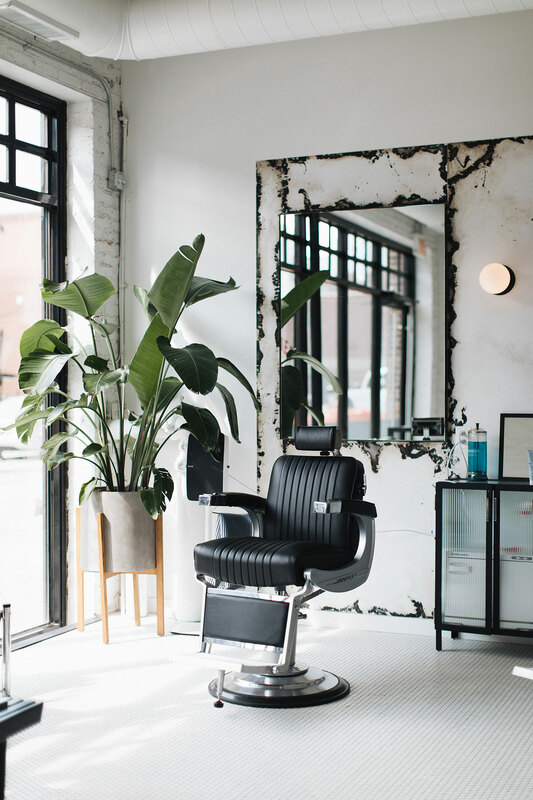 Business in the front, party in the back aptly describes the design scheme and ethos of Blind Barber, the new neighborhood barbershop and lounge in Chicago's Fulton Market District. 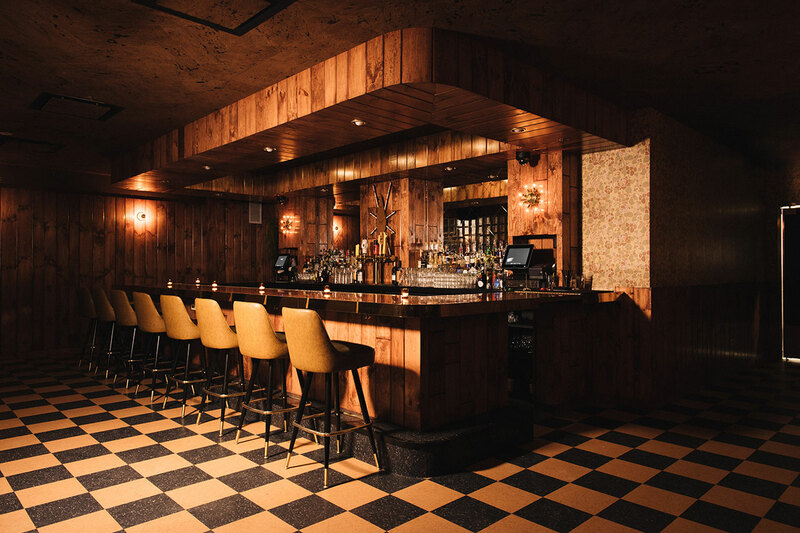 Conceptualized, designed and built by 555 International, this is the third location of the dual purposed destination, the original being located in New York City and the second in Los Angeles. 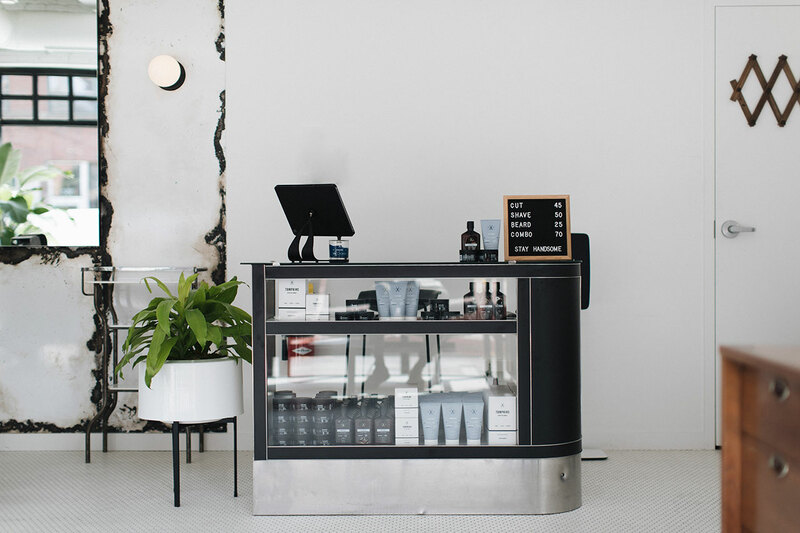 Upon entry, anyone who isn't in-the-know wouldn't suspect that Blind Barber isn't just a modern take on a good, old-fashioned barbershop where white walls, tiled floors and wood beam ceiling are the minimal foil for classic steel and black leather barber chairs, large mirrors and midcentury modern furnishings. Meanwhile, the walls directly surrounding the mirrors are slightly eroded to add that touch of trying/not-trying cool industrial grit to the otherwise clean-cut (excuse the pun) space. 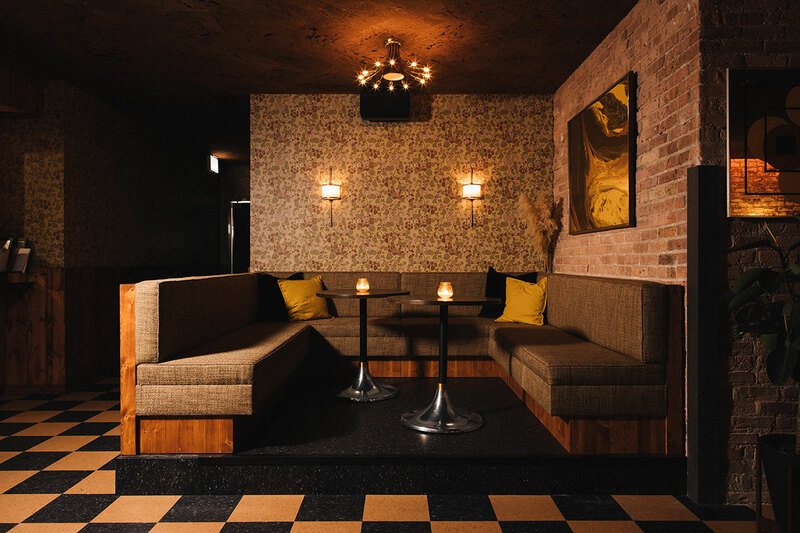 But walking through a non-descript doorway, down a hall, and past a pair of mohair drapes to the hidden restaurant and cocktail lounge reveals a whole other design concept. 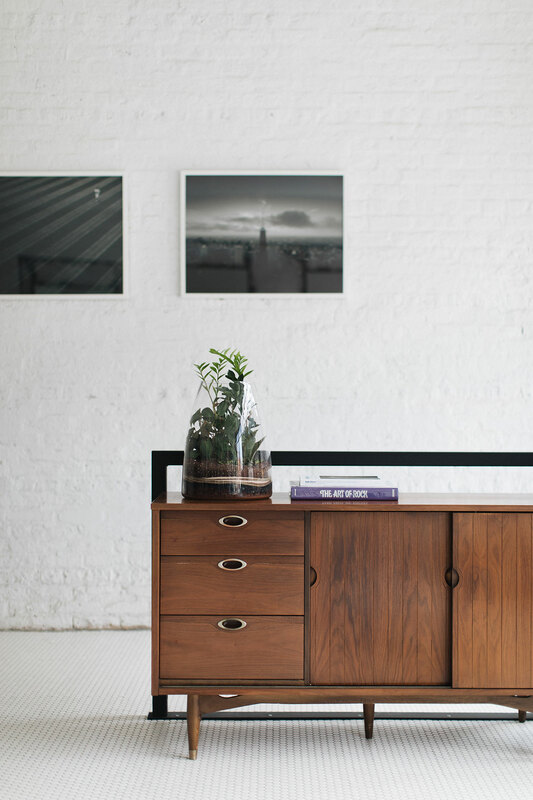 Gone is the bright, white minimalism and in its place lays a dark, vintage allure. 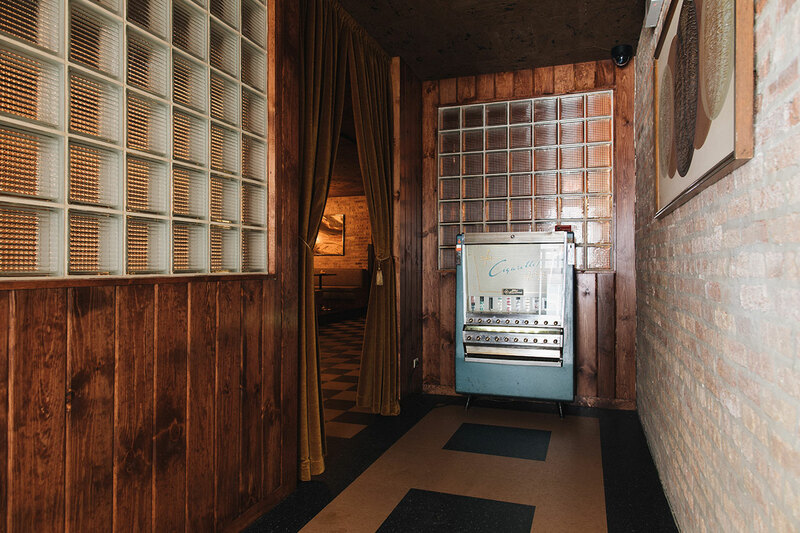 The surrounding walls are a play of exposed brick, knotty pine wood paneling, and sepia-toned wallpaper while the floor boasts an aged checkerboard pattern in shades of retro brown, covered over, in the lounge areas, by vintage rugs. 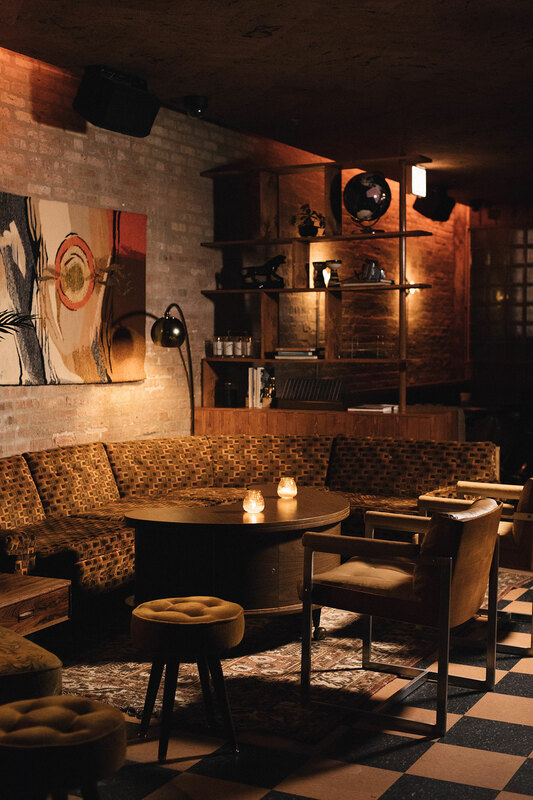 The furniture appears to have been salvaged from a private 1950's era home, with large sectional sofas (in yet more brown tones) and lounge chairs highlighted by "boogie-era" lamps, bookshelves, potted ferns and artwork hanging on the walls. 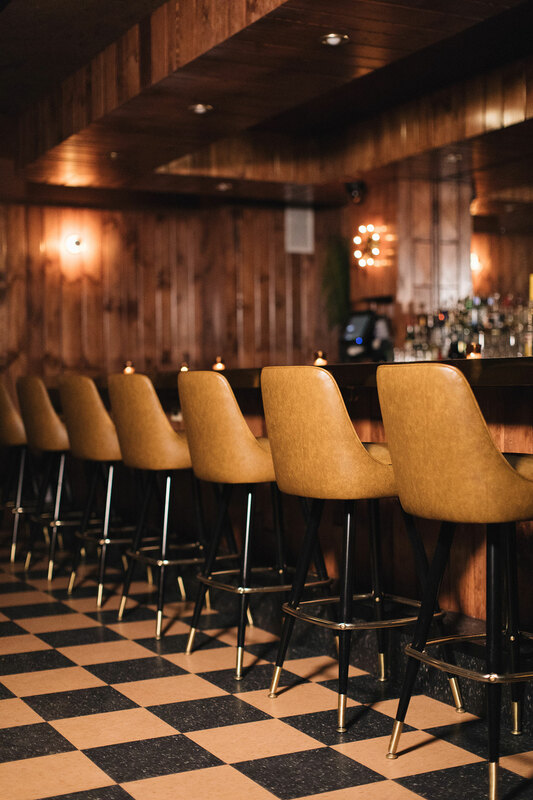 Indeed, the wood paneled bar is so vintage looking that it seems to have been in this same spot for half a century, a relic from our grandparent's heydays. 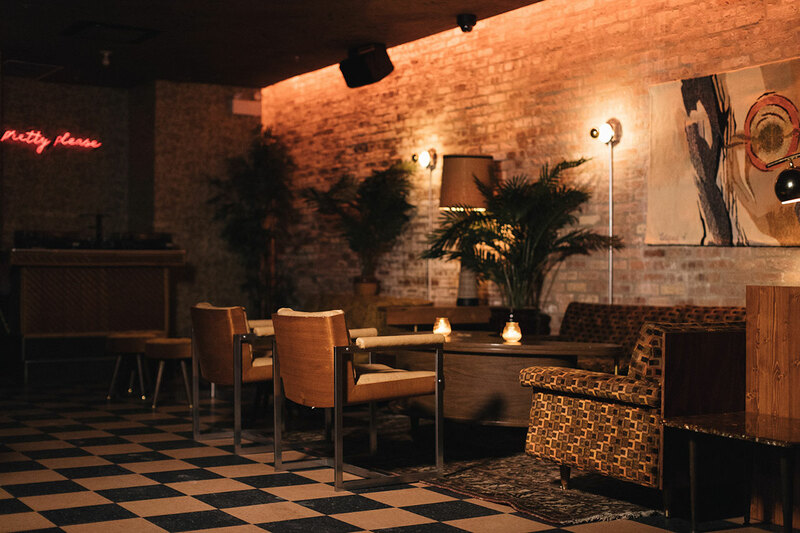 But the curated cocktails and menu served alongside the up-to-the-minute tunes played by local DJ's bring all patrons back to the present. For the present was built on the past; modernity on traditions; just as night-time partying takes over from daytime business.